Jose Madrazo, born in Salamanca (Spain) in 1943 started hunting with his father and mother at very early age mainly on the family estate where he used to spend summer and Christmas holidays. He bagged his first “trophy”, a rabbit, at 12 years of age using his mother’s shotgun, a 20 gauge bore. 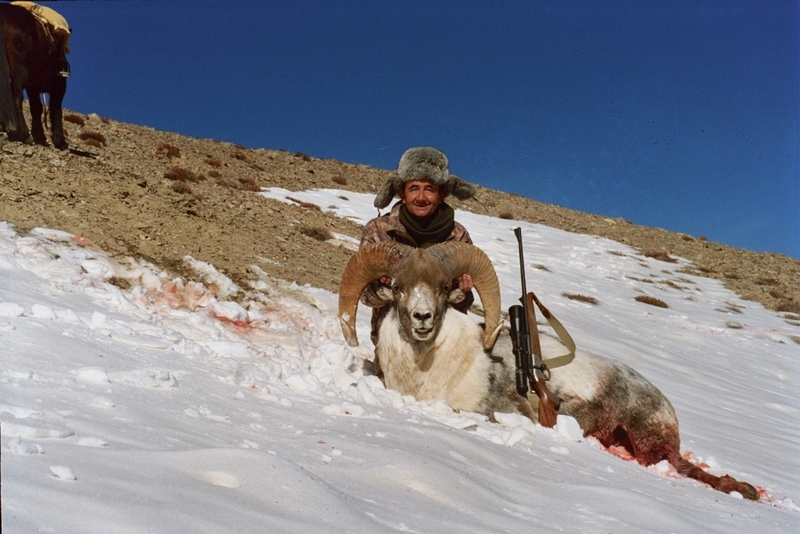 After that he started hunting with his own guns not only small game but also big game which was available in his home country: wild boar, red deer, ibex and chamois. 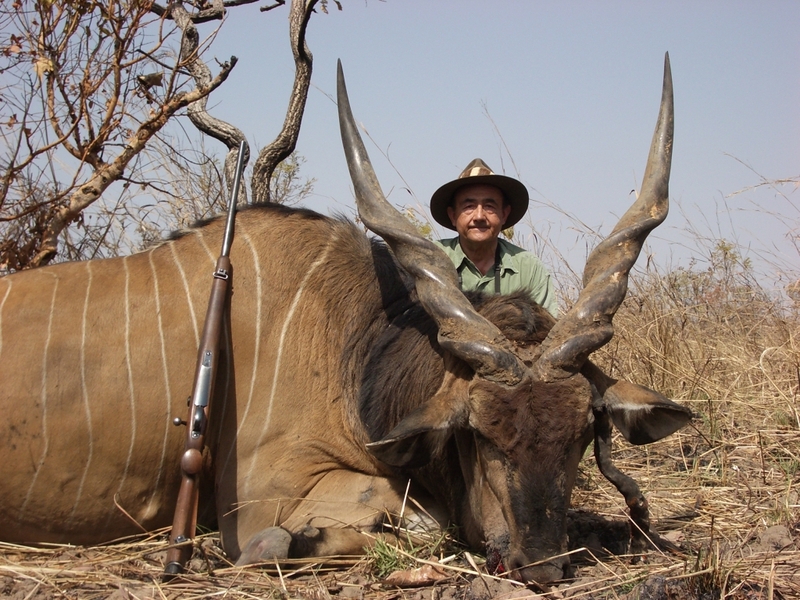 He started hunting internationally in 1981 and since then he has hunted in the six continents with a total of 175 international safaris, collecting over 600 big game animals, 380 being different species. 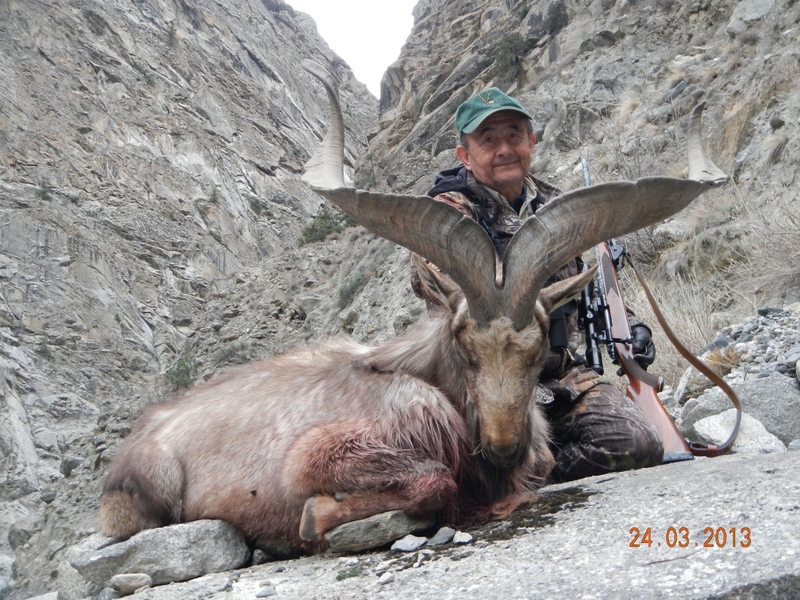 His passion has always been the mountain game of which he has bagged more than 90 caprinae trophies, with 40 different subspecies of sheep and 38 of goats. Among his sheep are eleven different argalis and the four North American sheep, and on his capra list he has all the ibexes of the world as well as the difficult serow, goral and three takins. His mountain achievements also include ten different subspecies of chamois, six different subspecies of Russian Snow sheep, three tahrs and twelve subspecies of urials and mouflons. He has hunted 146 African species, among them 22 different spiral horned animals, the Big Five, four different subspecies of buffalo, and 24 different pygmy antelopes. He has 48 European species, 76 Asian species and 59 North American species, among them five different bears: Polar, Grizzly, Brown, Continental and Coastal Black Bears. Among his trophies there are 9 SCI World Record, 13 SCI’s Top Three and he has been awarded three times by GSCO on International Capra Category, twelve times by VENATORIA on International Trophies taken in Asia, Africa and Europe, and by C.I.C with one World Record and several gold and silver medals for European trophies. He is in possession of GSCO’s Pantheon Award, “Grand Slam”, “Ovis World Slam, Super 30”, “Capra World Slam, Super 30”, and “Triple Slam”, “Culminum Magister Award”, “SCI International Hunting Award”, “SCI World Conservation & Hunting Award”, “SCI’s President Award”, the “SCI World Hunting Award Ring” and 23 SCI Diamond Awards. After completing university, he practised forty years as a lawyer, and he continues serving as a Board Member in several companies and institutions. He has dedicated time and effort to conservation throughout his life and continues working on educational and nature preservation projects. He started four new SCI Chapters in Spain and Portugal and has dedicated time and effort to an “Antipoaching and Nature Protection Project” in Cameroon. He holds memberships in hunting and conservationist organizations such as SCI, CIC, International Order of Saint Hubert, Culminum Magister, Dallas Safari Club, GSCO, FNWAS and others. He serves or has served in the Boards and Award Jurys of Conklin Foundation, Caldesi Award, Venatoria / Cinegetica, Culminum Magister, Beretta & SCIF Award, SCI International Hunter Award, and SCI Major Awards Committee. He has written widely in hunting and outdoors magazines in Spain, where his book “Ovis Ammon. The Argali Trail” was first published in Spanish and later translated into English and published in USA in 2008. This book has been followed by two more “Primavera Oriental” and “Safari in China. The Most Elusive Mountain Game”. This second published in a bilingual edition, in English and Spanish. Between 2010 and 2016 he published three more hunting books: “Montañas de Cinco Continentes”, “Carneros ThinHorn de NorteAmérica” and “Capra. 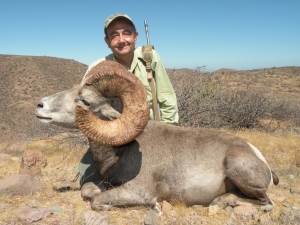 De Este a Oeste cazando cabras”, this last one a recollection of his hunts to get all subspecies of Capra (Ibex) existing in the world. He also has written the Foreword for several hunting books, among them “A Hunting Life and Two Exploratory Asian Hunts” of Robert E. Speegle, M.D. , “Caza de Capra Hispánica” of Ignacio Pidal (2013), “El Corzo” (“The Roe Deer”) of Dr. Paulino Fandos (2013) and “Minimariun de Caza”, of Dr. Jesus Caballero (2014). He continues hunting extensively through the world and he is very proud of being one of the “tough guys” who has achieved the “Conklin Award”. He is also very proud of his dedication and commitment to wildlife conservation, and of his adherence to fair chase hunting.